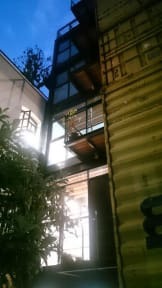 Metro Hostal Boutique is a new hostel in Mexico City located in the heart of Colonia Roma, our concept allows each room to be cozy, comfortable and unique with and urban feel. Our roof-top terrace with lots of trees is perfect for your morning coffee and a night time drinks. We offer a continental breakfast with coffee or tea, toast and fresh fruit. The staff at Metro Hostal Boutique is interested in providing you with a unique experience, we know our city and our country extensively and making your stay as nice and smooth as possible is our day-to-day motivation. Pet friendly? Sure thing, subject to availability and approval, we are not opposed to have your best friend accompanying you during your stay, as long as you are 100% responsible for the cleaning and never leaving them alone. In the neighbourhood almost all restaurants are conveniently pet friendly. This neighbourhood is one of the most multicultural in the city, Colonia Roma is categorized as an area of great artistic monuments and architectural wonders. It offers a large quantity of restaurants, coffee shops, art galleries, parks, schools, hospitals and museums, all of which will contribute to making your stay as lovely, fun, and interesting as possible. We are located only 20 minutes away from the historical downtown core, 5 minutes with la Zona Rosa, and 30 minutes from Coyoacán. We offer private rooms for 2, 3 or 4 people with a shared bathroom, as well as the option of mixed dorms with 6 or 8 beds, also with a shared bathroom. Perfect for a comfortable stay in Mexico City. Pet friendly. Extra-fee may be applied. Please contact the property before arrival. Amazing hostel! 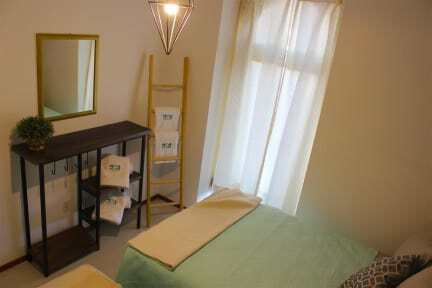 Staff is really gentle and didn't let me down, helped me with everything I needed. It's not so close to the subway stations but it's close enough to go by walking with no bother. Very well decorated, amazing environment and the breakfast is also very satisfying. Great terrace!, also a great place to meet people. Would absolutely stay in it again.